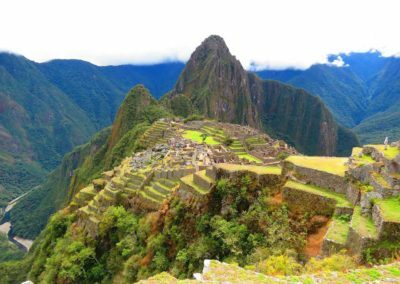 Mysterious, mystical, magical are the words that come to mind… the “Lost City” of Machu Picchu, the “Inca Home of the Gods”… this special place holds such a fascination for explorers and travelers alike and promises to transform you in ways no other destination can. The Divine Destination Collection has created an encounter with this destination unlike any other, encompassing the country’s vast cultural diversity, traditions and unimaginable natural wonders. Truly a unique experience where luxury, adventure and spirituality meet. The perfect blend of culture, nature & luxury in an exotic and intoxicating part of the world. 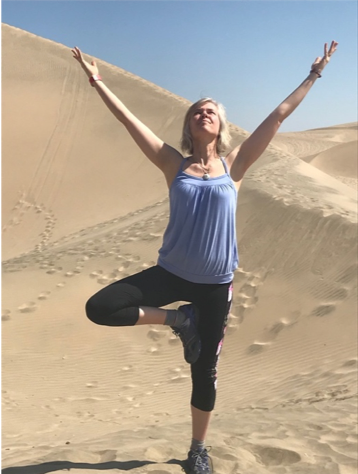 The trip was everything I could have hoped for and much more…the people, the places, the food, the activities and the experiences were all top notch. 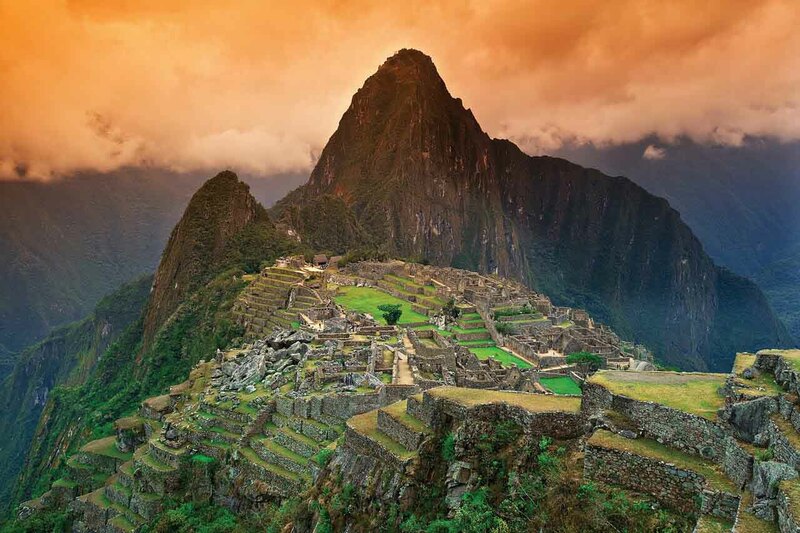 The “Lost City” of Machu Picchu holds such a fascination for explorers and travellers alike. 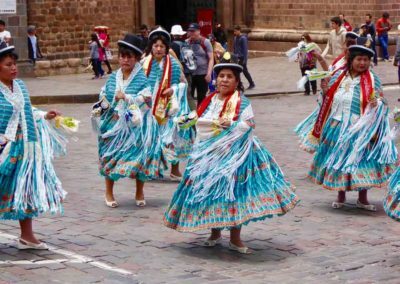 This trip provided the opportunity to become immersed in many aspects of the Peruvian culture – especially the people and the pride they willingly share about their history. Combine this with the 5-star treatment we received at every location created memories that will last a lifetime. Loved interacting with the locals, witnessing their contagious enthusiasm for their own culture and traditions. All the experiences and outings were so well-judged in tone and energy… Amazon trip was so special. We had an amazing time in every sense – and your skills as a luxe travel expert came through day after day, minute after minute. A magical once-in-a-lifetime experience that exceeded every (already high) expectation. The best vacation I have ever been on. I thought it was incredibly friendly and well organized and really made us feel special. The Amazon cruise truly was a trip of a lifetime. Thank you. Thank you for the most wonderful trip, it was a great bunch of people… I made new friends. Loved that there was such a mix of experiences…slow, exciting, group, solo, fast, etc. it created a truly dynamic and amazing experience!! Thank you so much for such a wonderful holiday – we enjoyed it immensely. You are to be congratulated for organizing such a perfect trip. It’s extraordinary to consider the travellers, staff & crew as friends (even family), but that’s what it felt like and that’s so very special. Incredibly well paced trip of a lifetime. "From the moment we arrived at the airport in Lima, TDDC had every detail under control. Our only job was to relax and take in all the incredible adventures of Peru, and there were many! The rich geographical diversity of Peru was incredible, from the sea cliffs of Lima, the spectacular view of the Andes in the Sacred Valley, the awe-inspiring Machu Picchu, to the safaris cruise through the Amazon rainforest. Our Peruvian guides provided historical and spiritual insights and fascinating facts that enhanced every experience. Add to this the luxury accommodations, delicious meals and new friendships." You will be personally guided through the architectural masterpieces of Lima and have an up close and personal gourmet event overlooking the Huaca Pucllana ruins. Set in one of Lima’s most fashionable areas, the Belmond Miraflores Park takes you straight to the heart of all that’s best about this great capital city. Renowned for its beautiful garden location beside the Pacific Ocean, it has breathtaking views out to sea, a perfect one night stop before we head to the Sacred Valley. In the Sacred Valley of the Incas, among verdant fields and towering mountains lies the breathtaking Belmond Hotel Rio Sagrado. For 2 nights relax and take in the true sense of the land along the banks of the rushing Urubamba River. Private Behind the velvet rope local Peruvian BBQ dinner at Wayra and Interaction with Peruvian Paso Horses. Behind the Veil Machu Picchu Encounter: Vistadome train transfer reveals awe inspiring scenery. A Shaman, exclusive to The Divine Destination Collection, unveils the magic and mystery of this magnificent site. A serene Ceremony to Mother Earth completes the day of inspiration. Relax in luxury and opulence, share your stories of the day over vintage wines and gourmet fare while heading back to Cusco aboard the luxurious Belmond Hiram Bingham 1920’s Pullman train. 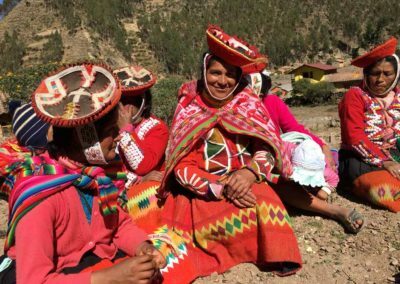 Embark on a truly memorable journey to the rural Andean community of Huilloc. Here in this small farming community surrender to this Connection Experience as we see first-hand how the local community lives. One of the most unique hotels in Cusco, the Belmond Monasterio is a delightful retreat that combines centuries-old charm with luxury hotel service. Ideal for a 2 night stay from which to discover the delights of Cusco. 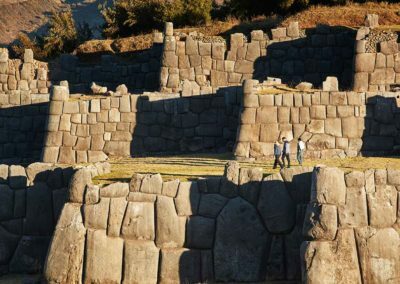 Culminate this part of our epic journey with a farewell gala event at the Pre-Columbian Art Museum of Cusco, an exclusive evening complete with a few wonderful surprises to cap off our magnificent encounter in Inca territory. 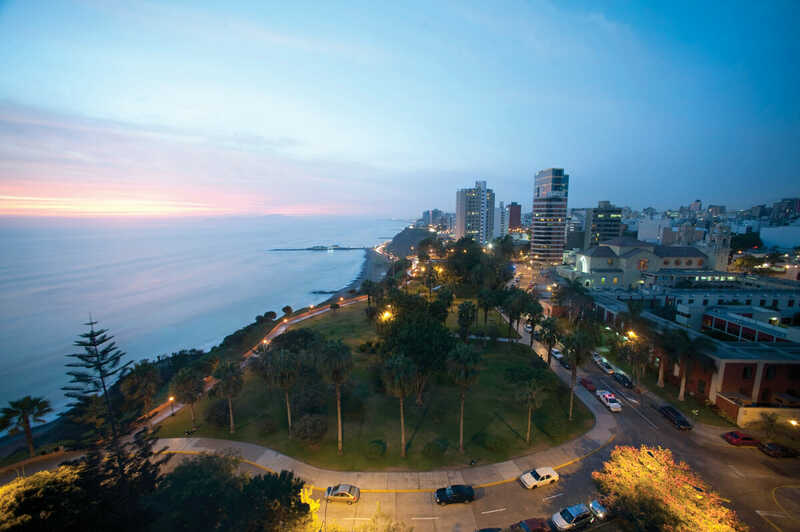 Set in one of Lima’s most fashionable areas, the Belmond Miraflores Park takes you straight to the heart of all that’s best about this great capital city. Renowned for its beautiful garden location beside the Pacific Ocean, it has breath-taking views out to sea. This luxury hotel combines personalised service, exceptional dining and indulgent facilities to create the perfect base from which to explore. 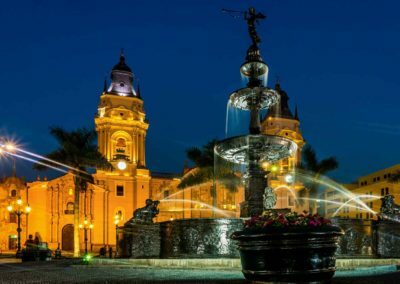 Colonial architecture, superb museums with Inca gold and Pre-Columbian antiquities, and glamorous shops, bars and restaurants are all just moments from the hotel. 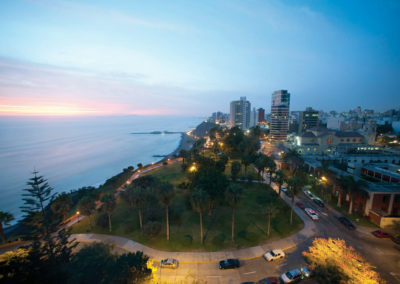 In Miraflores history and tradition sits side-by-side with the city’s important commercial and financial centres. The hotel is surrounded by a park and has incredible ocean views. In the Sacred Valley of the Incas, among verdant fields and towering mountains, lies the Belmond Hotel Rio Sagrado. The Sacred Valley is the former heart of the Inca Empire, starting just 10 miles outside of Cusco. It extends between the towns of Pisac and Ollantaytambo. Rushing through the valley is the Urubamba River, with tributaries in many lakes and gorges. 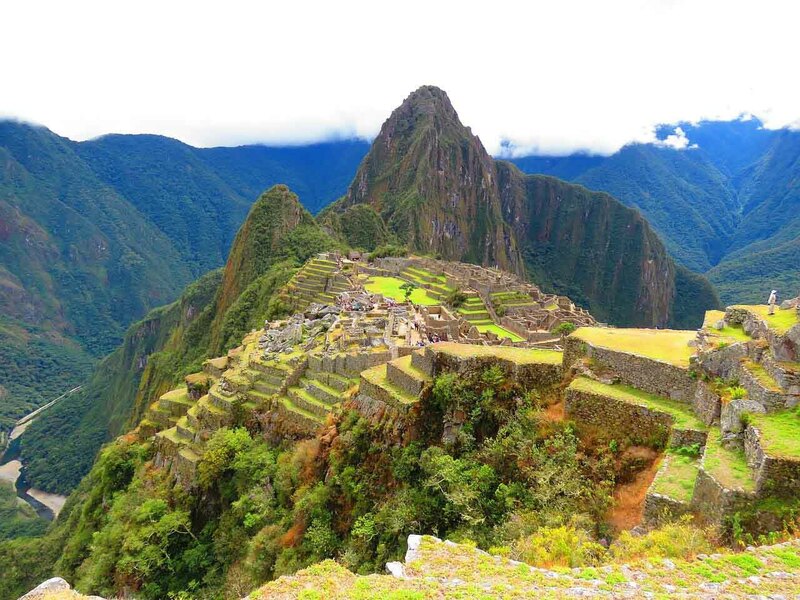 To the north end of the valley is the spectacular Machu Picchu citadel—a must see for visitors to the area. Bright and vibrant, Deluxe Terrace Rooms offer a serene space for rest in the verdant Sacred Valley. Each Deluxe Terrace Rooms is unique and offers stunning views over the Urubamba River and across the Sacred Valley. Constructed from natural stones and wood, our Rooms create a wonderful sense of harmony that extends onto your private flagstone terrace. Please note: In order to preserve a complete sense of relaxation, Belmond Hotel Rio Sagrado does not offer in-room televisions. So savour fresh produce in the restaurant, enjoy a local Sacred Valley massage or spend a few soothing minutes feeding the hotel’s baby alpacas. 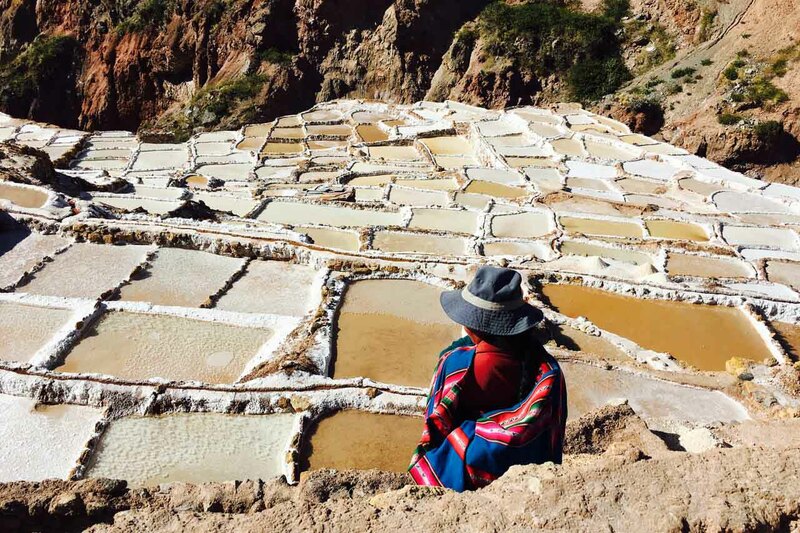 Slip into the spirit of Peruvian life. Belmond Hotel Monasterio is just two blocks from Cusco’s central square, where the cathedral and most important museums are located. 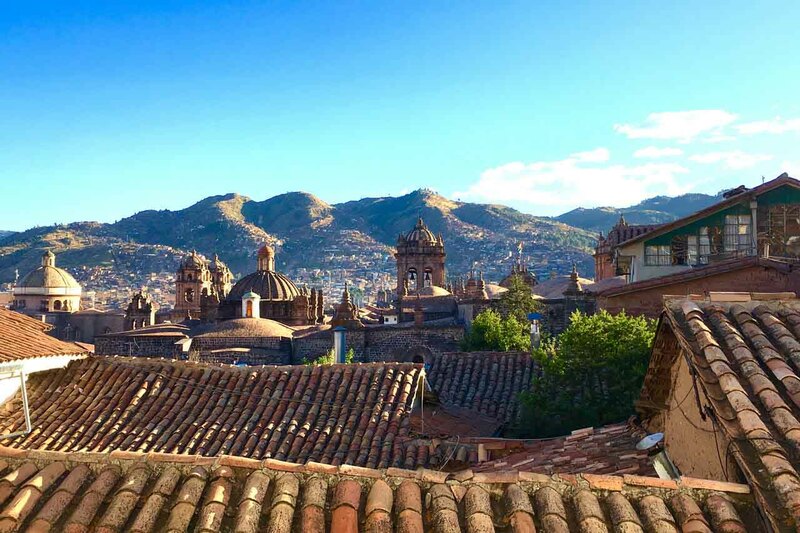 Replete with historic architecture and brimming with spirit, Cusco is one of the best places to visit in Peru. 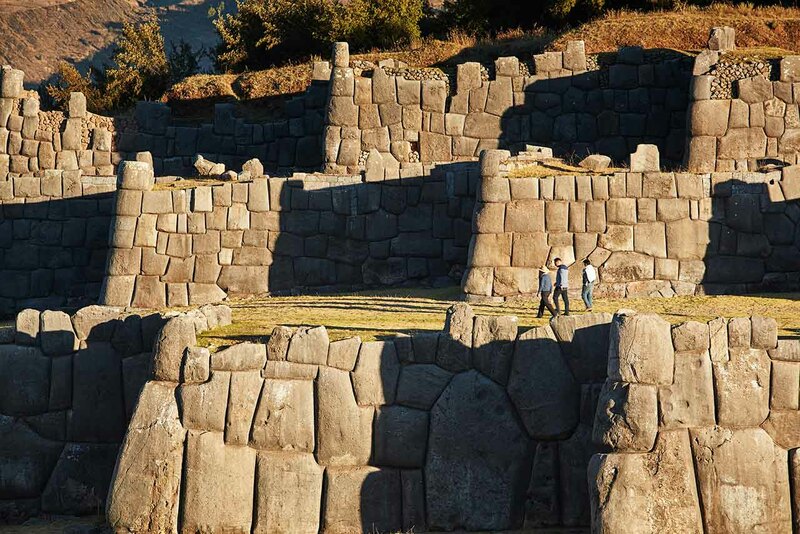 This unique hotel museum is an architectural treasure built on Inca foundations. It combines the majesty of a colonial monastery with the luxury, elegance and comfort of a modern five-star hotel. Originally built in 1592, Belmond Hotel Monasterio sits on the site of Inca Amaru Qhala’s palace. Six years later, the Spanish took it over and founded the Seminary of San Antonio Abad. Belmond Hotel Monasterio is now a national historic landmark, protected by Peru’s National Institute of Culture. The Hotel’s design features historic touches to reflect its rich heritage. The stones around the entrance doors still bear the Spanish Arms Escutcheon and the image of Bishop Monsignor Juan Serricolea y Olea. The Chapel is decorated in Baroque style, with gold-plated pictures frames. Magnificent paintings depict scenes from the life of its patron saint. At the heart of the hotel is the beautiful cloistered courtyard, featuring a tranquil fountain and 300-year-old cedar tree. Enjoy modern comfort surrounded by timeless charm at one of the top luxury hotels in Peru. With an enviable position in the centre of Cusco, accommodation at Belmond Hotel Monasterio serves as the perfect retreat after a day exploring the city. Each Room is wonderfully unique, reflecting the monastery’s charm and elegance. Rich wood furnishings, antique artwork and architectural quirks add to the historic atmosphere. Rooms are enriched with oxygen to combat the effects of Cusco’s high altitude. DAY 1: Friday, September 8, 2017: Arrive Lima International Airport and be transferred privately to the luxurious Belmond Miraflores Park Hotel. This afternoon, submerge immediately into the essence of Lima through our Architectural Masterpieces Experience. 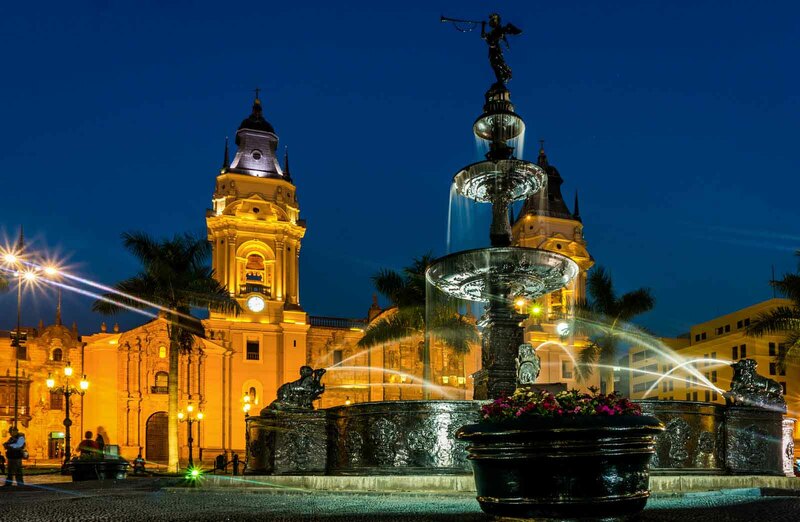 Peru’s capital is a rich kaleidoscope of colonial architectural jewels, revered pre-Columbian sites, charming residential areas, and vibrant shopping districts perched over the blue Pacific. Resplendent amidst this thriving metropolis are the Lima Cathedral and the Santo Domingo Convent. Tonight we continue to reveal this spectacular city to you as we take over a private section of the Huaca Pucllana Restaurant. This chic eatery overlooks the illuminated Incan ruins while managing to continue to create culinary magnificence and pure deliciousness. The Divine Destination Collection has arranged for a private ruin experience before dinner. To understate the obvious and to quote Time Magazine…”There is nothing like dining on haute cuisine while taking in 1500 year old views”. OPTIONAL ACTIVITY: Evening tour of the famous Magic Fountains in the Park Reserve. Amaze yourself with the most complex electronic sources in the world, certified by Guinness World Record. You can enjoy a wonderful show of water, light, music and images, presented in the famous Park Reserve. DAY 2: Saturday, September 9, 2017: Breakfast is included and at leisure in the hotel. Check-out of the hotel and privately transfer to the airport for flight to Cusco (approximately 1.5 hours). Upon arrival in Cusco, you will be privately transferred to the Sacred Valley. A surprise is in store for you as you enter the Sacred Valley! Private Check-in at the luxurious Belmond Hotel Rio Sagrado. Set on the banks of the rushing Urubamba River, this luxury hotel is built in natural materials to resemble an authentic Andean village. Situated at a lower altitude than nearby Cusco, the hotel provides the perfect environment in which to acclimatize and is an ideal base to explore the Sacred Valley and Machu Picchu. Tonight enjoy a private Welcome Cocktail Reception at the resort with hot & cold hors d’oeuvres. Here we’ll marvel at the stunning views over the Urubamba River and the Sacred Valley itself. You hug your wine glass, you breathe yourself into full presence. The beauty and the energy of this place are so intense that it almost hurts. Dinner at leisure and on own in the resort’s restaurant. DAY 3: Sunday, September. 10 2017: Breakfast is included and at leisure daily in the hotel. 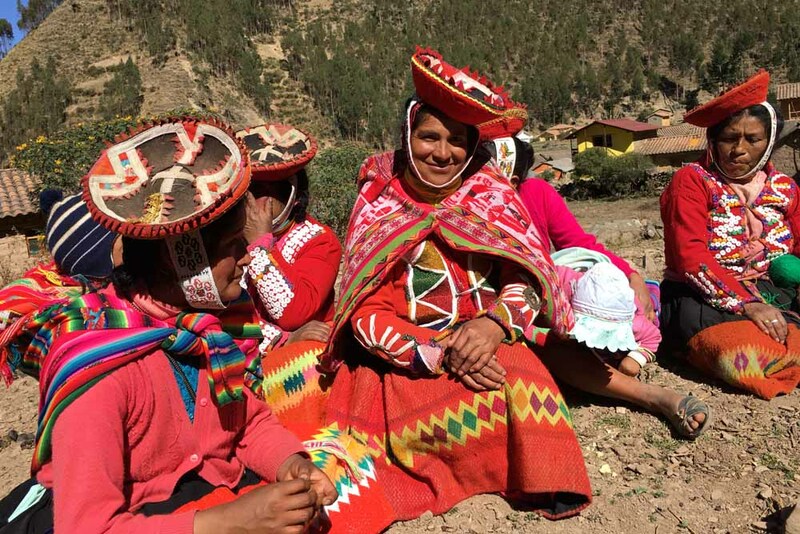 Depart this morning for our Connection Experience, with the indigenous community of Huilloc in the rural Andes. Lunch and the afternoon are at leisure. Please stop by your private concierge at The Divine Destination Hospitality Desk. Here we will offer optional experiences such as a visit to the Maras Salt Mines and Moray Ruins, as well as to the Ollantaytambo Ruins. This evening, the destination continues to be revealed to you in a very interactive way. The Divine Destination Collection creates events that present the magic of a destination in a “behind the velvet rope” kind of way. Tonight is no exception as we transfer out to the Wayra Restaurant, set in the picturesque setting of Peru’s Sacred Valley this is the perfect location for a delicious mouth-watering local BBQ dinner. Here we will have a private section where a feeling of personal paradise overcomes you. Following a delicious dinner complete with pisco sours and fine wines, enjoy the Up Close and Personal Interaction with Peruvian Paso Horses. Known worldwide for their smooth gaited movements and unusual spirit, no other horse combines strength, intelligence and beauty so perfectly as the Peruvian Paso Horse. Enjoy a delightful demonstration of the skills of this unique member of the horse kingdom. DAY 4: Monday, September 11, 2017: Breakfast is included and at your leisure in the hotel restaurant. Up and at ‘em early this morning. As we board the VistaDome Train to Aguascalientes for our day at Machu Picchu. Large panoramic windows offer incomparable scenic views and numerous opportunities to capture amazing pictures, travellers feel connected and part of the impressive landscape of Peru. We round the last bend, and there – in a surreal pinnacle-clad landscape – is Machu Picchu, the “Lost City of the Incas”. Today we have engaged our own personal Shaman, Victor, to be our exclusive guide through this magnificent site and regale us with information that illuminates the sacredness of this site and will facilitate the slow reveal of its secrets. The Belmond Sanctuary Lodge, which is the only hotel located adjacent to the ancient Inca citadel of Machu Picchu, is a delightful hideaway and the perfect place to relax and unwind in the shadow of the Lost City. Enjoy lunch in Tinnkuy restaurant. You can also return later in the day for high tea. Later, we will board the deluxe 1920’s Hiram Bingham Train to Cusco. The evening begins with drinks in the bar car and live entertainment followed by a gourmet 3-course dinner with wine in the elegant dining car. 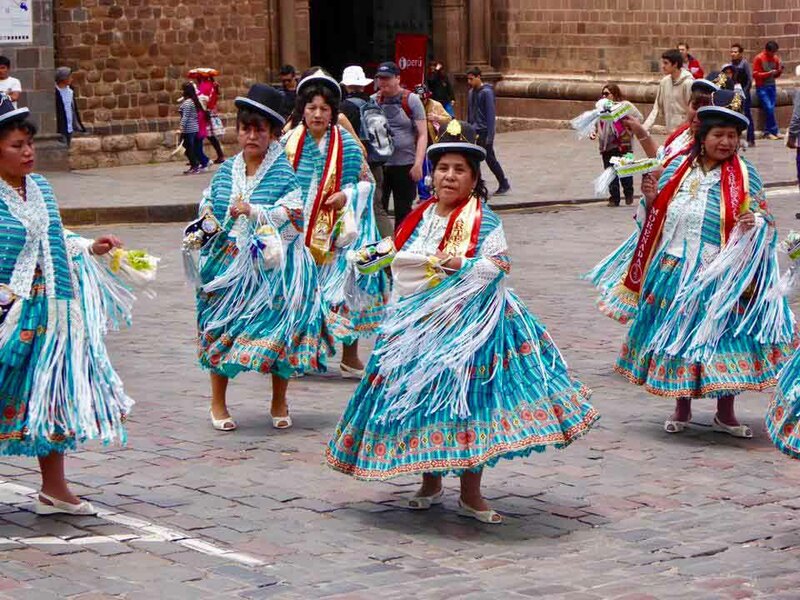 Arrival at Cusco and private transfer to the 5 star Belmond Monasterio Hotel which is located right beside the lively Cusco central square. DAY 5: Tuesday, September 12, 2017: Breakfast is included and at your leisure in the hotel restaurant. This morning we are out exploring the city of Cusco and its archaeological sites with Victor our Shaman. This afternoon we will participate in a Closing Ceremony at the Temple of the Moon with our Shaman, Victor. Lunch and the afternoon are at leisure. OPTIONAL ACTIVITY: Pisco Sour and Ceviche experience: We will discuss Pisco, its history, aromas and flavours and learn about the qualities that make this such a unique beverage. We continue with a fun and interactive round of Pisco Sour Making. Then how to prepare the most popular Peruvian dish… El Ceviche. Afternoon at the San Judas Chico Girls Orphanage: This orphanage is home to 40 girls ages 4 to 16 and provides them with a safe family environment as well as all the educational and cultural opportunities necessary for their personal growth and successful adult life. We will have the opportunity to spend time with the girls and present them with the much needed supplies. Our final night in Cusco will be an exclusive private dinner at MAP Café: one of Cuzco’s best restaurants. Located in the courtyard of the Pre-Columbian Art Museum Cusco, this glass cube contrasts harmoniously with the colonial architecture of the house. We may have surprises in store for you this evening! DAY 6: Wednesday, September 13, 2017: Breakfast is included and is at your leisure in the hotel restaurant. Depart the hotel for Cusco Airport for flights to Lima. Depart Lima for Iquitos (2 hrs)…or home. OPTIONAL ADD-ON: 4 NIGHT AMAZON CRUISE NOTE: For those who will be leaving us today and have late night departures, you will have the opportunity to book day rooms at the Wyndham Airport hotel to rest and relax in the afternoon. In the evening, we will transfer to the Café Del Museo in the Larco Museum for a delicious 3-course dinner in the courtyard restaurant. You will have an opportunity to stroll through the museum either before or after dinner to take in one of the most captivating narrative accounts of more than 5000 years of Pre-Columbian Peruvian History. From the museum, we will transfer to Lima airport for flights home or to Iquitos for add-on Amazon cruise (see above tab). Your journey may end in Cusco or… take yourself all the way, and add on our intimate 4 night Peruvian Amazon cruise aboard the luxurious Delfin II, where the connection with the Amazon is intimate yet luxurious. A magical journey of discovery with all the comforts provided by world-class lodging yet with the spirit of casual and refined elegance while you cruise the Peruvian Pacaya Samiria National Reserve. Your Amazon journey takes off on arrival in Iquitos, where we will pick you up and take you to the vessel. In the following days, you will experience an ideal combination of natural wonders, dramatic scenery, indigenous cultural history, and a relaxed self-contained way to explore the rainforest while seeing nature at its best. Delfin II has 14 large guest suites, each with movie screen sized windows and natural elements, they offer all the comforts provided by world-class lodging yet with the spirit of casual and refined elegance while you sail in the Peruvian Pacaya Samiria National Reserve. Delfin Amazon Cruises matches your destination, itinerary, and travel dreams in the Amazon. The style is always allied with substance and they offer an onboard experience that is second to none while taking you to places few have gone before. DAY 6: Wednesday, September 13, 2017: Arrive Iquitos where you will be met by The Divine Destination Collection and transferred privately to the town of Nauta (approximately 1.5 hr drive) where we will board the luxurious Delfin II. Relax and settle into your lovely cabin, each with movie screen sized windows, air conditioning and natural elements. Join us at the bar for a drink before heading into the quaint dining room for dinner accompanied by fine wines. 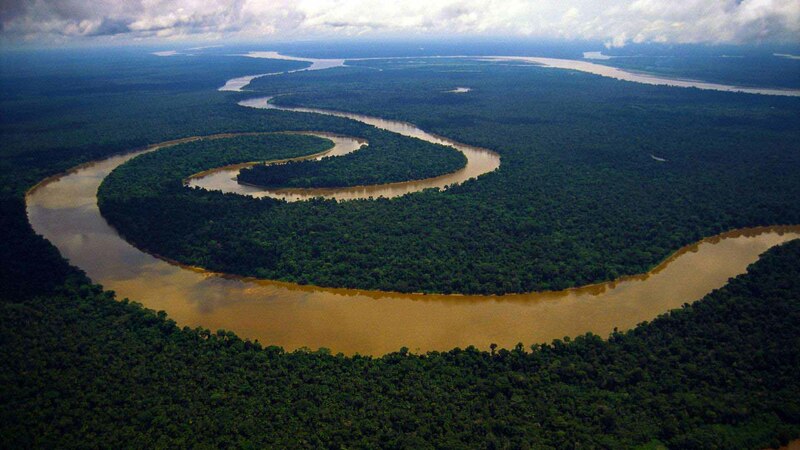 The Amazing Amazon, you are about to explore one of the world’s most intriguing environments. Flora, fauna and indigenous peoples abound here… while time stands still. DAY 7: Thursday, September 14, 2017: Breakfast is included and at leisure daily on the cruise. 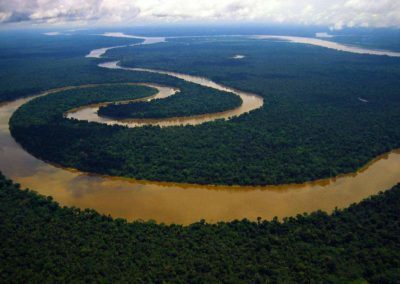 The Amazon Rainforest constitutes over half of the planet’s remaining rainforest, and the Amazon River is the life force of this amazing ecosystem. The Divine Destination Collection has a deep desire to ensure that you experience the magic of the Amazon to its fullest. 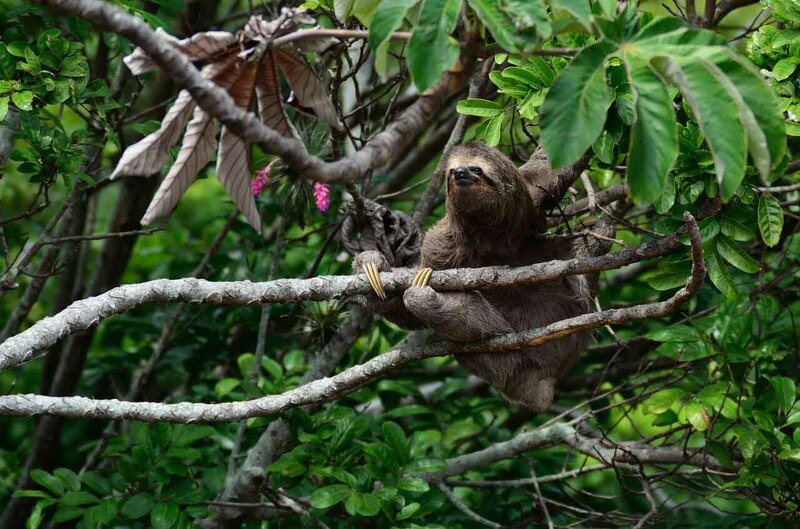 Naturalists will guide us on a jungle walk where you will see sloths, anacondas, kapok trees, frogs, flora & fauna as we explore the Pacaya Samiria Reserve. Lunch is included and at leisure on the cruise. Rest, relax and restore over a delicious meal and glass of wine. Afternoon skiff excursion deeper into the tributaries of the Pacaya Samiria Reserve. See the famous grey & pink freshwater dolphins and take in the myriad of bird life that abounds. Dinner is at leisure in the dining room. Peruvian cuisine is considered one of the worlds’ finest and reflects the country’s intrinsic cultural diversity. Welcome to this gastronomic adventure where dedicated staff pride themselves on carefully preparing contemporary Creole plates and offer exceptional service for your ultimate indulgence. The Amazon’s wild choices of fresh ingredients and the gentle blend of worldly immigrant traditions will enchant your taste buds. Handmade plate ware, locally made table decorations changing from meal to meal and instrumental music performed by the ship’s staff create the ambience to make each meal an unforgettable experience. Tonight the adventure continues as we have planned a special surprise for you after dinner….Mum’s the word now as we can’t give anything away! DAY 8: Friday, September 15, 2017: Breakfast is included at leisure daily on the cruise. Today we have the opportunity to kayak the Amazon. Lazily paddle close to the shore to see turtles, beautiful blue butterflies and perhaps a dolphin or two. Lunch is included and is at leisure. Connection Encounter, this afternoon we will stop into a nearby village and meet with the villagers and see how they live. Despite the rural atmosphere, there are many pockets of civilization within the jungle. 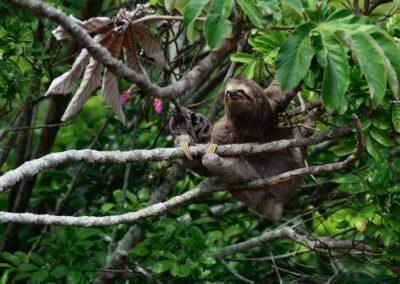 In addition to plants and animals, the Amazon Basin includes a diversity of traditional inhabitants. These people have lived in the rainforest for thousands of years and their lifestyles and customs are well adapted to this environment. Dinner is at leisure in the dining room. On the deck, you will find that the Delfin II’s casual yet comfortable design will allow you to completely relax between the wonderful adventures of the morning and night activities. So we are sure you will enjoy relaxing in the open air lounge outfitted with big, soft sofas and chairs while you watch the river go by. DAY 9: Saturday, September 16, 2017: Breakfast is included at leisure daily on the cruise. We have a surprise for you this morning. We venture out to see the giant Victoria Amazonia Water lilies as well as follow a troupe of monkeys along the shoreline. Lunch is included at leisure on the cruise. We will head out on a late afternoon excursion to go Piranha fishing and hope we spot a few caimans at dusk. In the interest of preserving our environment, it is strictly “catch and release’! Tonight we celebrate the essence of our experience with a Farewell BBQ dinner in the dining room. You have explored the Amazon, you have relaxed in luxury and you and your destination have been transformed. For those with late night departures, you will have the opportunity to book day rooms at the Wyndham Airport hotel to rest and relax in the afternoon. In the evening, we will transfer to the Café Del Museo in the Larco Museum for our Encore Event!… A delicious 3 course dinner in the courtyard restaurant. The Museo Larco Café Restaurant offers an enchanting ambience where one can savour the best of Peruvian and International cuisine. It showcases the flavours, products and customs of the country, giving it a character which reflects the vibrancy of modern Peru. As guests of The Divine Destination Collection you will have an opportunity to stroll through the museum either before or after dinner to take in one of the most captivating narrative accounts of more than 5000 years of Pre-Columbian Peruvian History. The Larco Museum is housed in an 18th century viceroyalty-era mansion. Surrounded by beautiful gardens, the Larco Museum is a stimulating and inspiring space ..a fitting location to end an inspiring experience in Peru! From the museum we will transfer to Lima airport for flights home. Vibrant, vital, dynamic, evocative, provocative, interactive, and intimate…. this is your Peruvian adventure with Machu Picchu and the Mystical Inca Trail combined with Take me to the River… the Amazing Amazon.